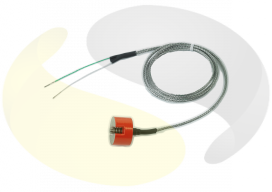 Rugged washer thermocouple with flexible lead used for fixed surface temperature measurement. 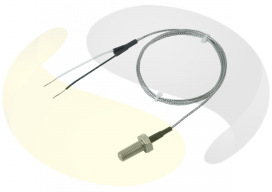 Rugged washer thermocouples with flexible lead used for fixed surface temperature measurement. This rugged brass washer thermocouple is available to suit bolt sizes M3.5, M6, M8 or M10. 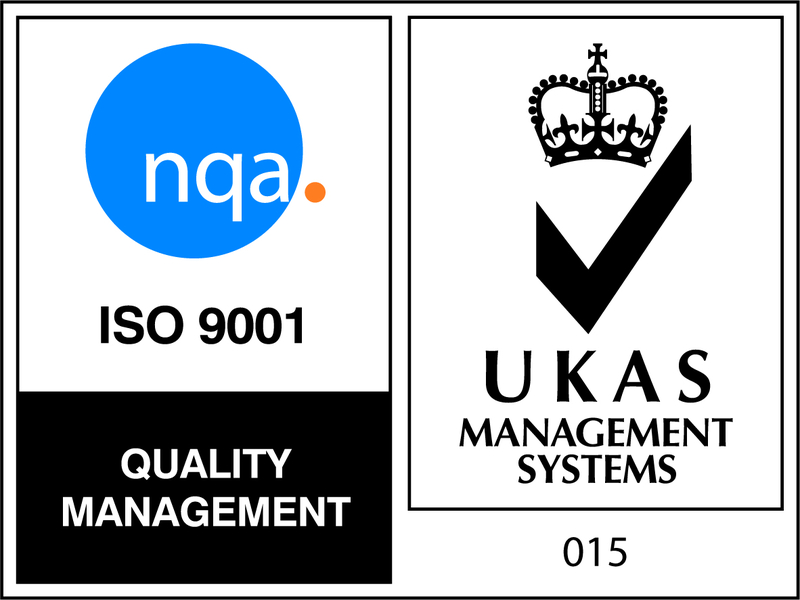 It is ideal for permanent fixed surface measurement of a variety of materials, such as pipes, castings or metal work where a bolt, rivet or screw can be applied and is easy to install. 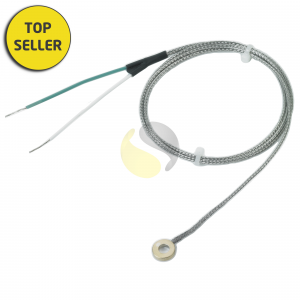 It has 2 metres of flexible glass fibre insulated, stainless steel over braided, stranded thermocouple lead wire as standard. Suitable for use up to 400°C and comes complete with 50mm long tails. 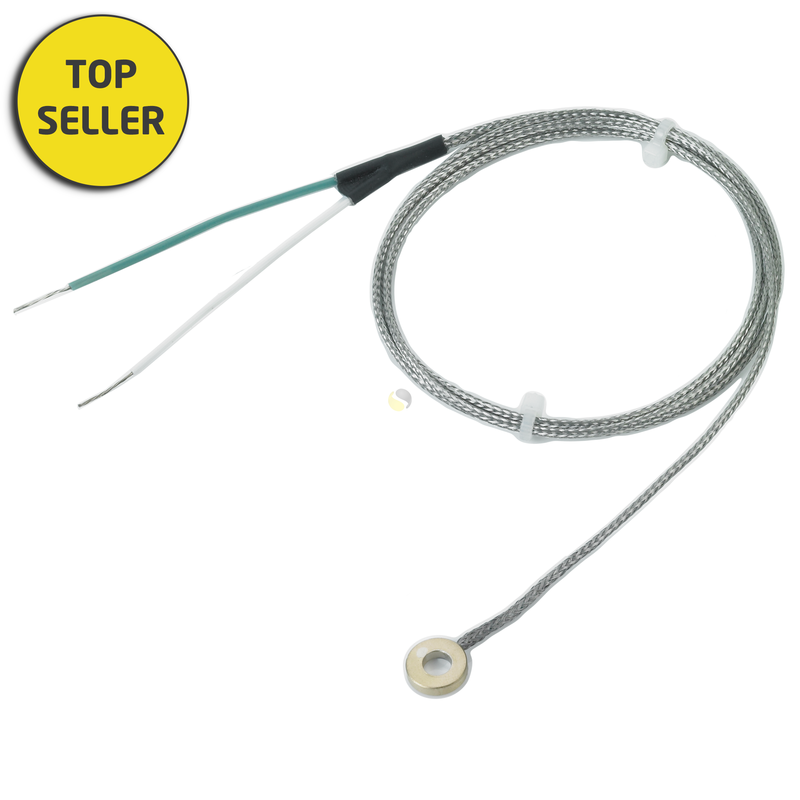 It can be made any length to suit your application where longer cable runs are required.